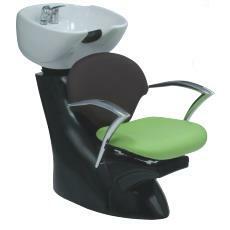 Features: Includes ceramic Hairdressing Basin (available in black or white) with tilt mechanism on a black fibreglass pedestal base. 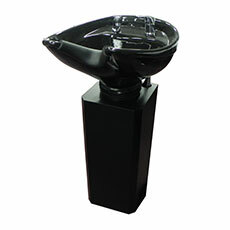 Includes Tapware, drain as well as a flexible drain connection and neck rest. Requires Hydraulic Chair or other Hairdressing Furniture. Features: Deep ceramic Hairdressing Basin in black only with tilt mechanism on a black fibreglass stand. Tapware included. 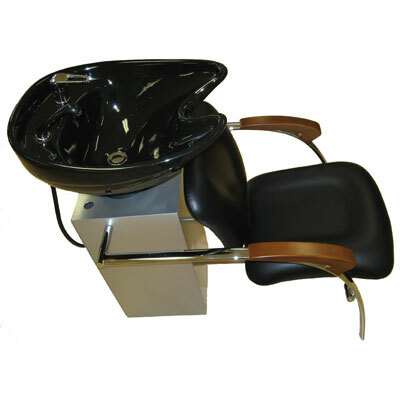 Features: White or black ceramic Hairdressing Basin with tilt mechanism on a black metal stand. Includes Tapware. 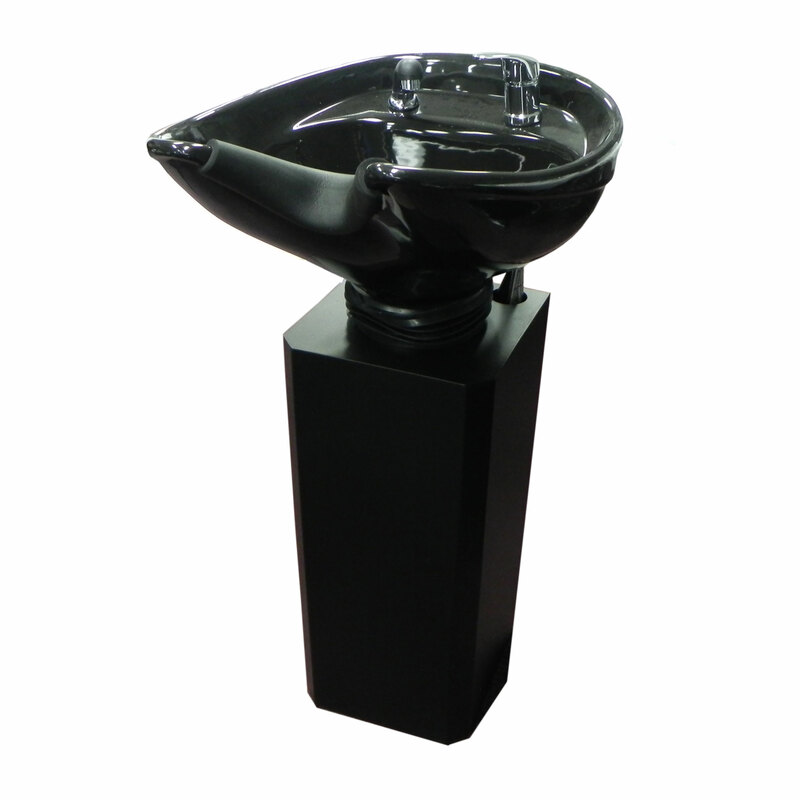 Size: Height of stand - 70.5 cm, height overall - 103 cm. 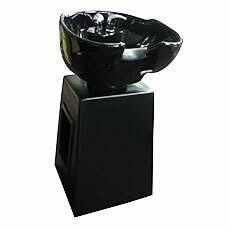 Features: Black vinyl upholstery with black or white ceramic basin on adjustable tilt mechanism. Includes Tapware. Suitable as Hairdressing Furniture. 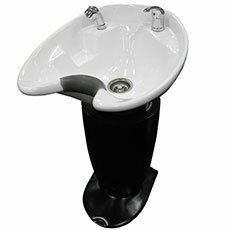 Features: Ceramic basin on adjustable tilt mechanism. Seat adjustable in forward/backward position. Includes Tapware. Suitable for Hairdressing Salons.